Jern-Fei Ng QC was appointed Queen’s Counsel in 2018 at the age of 38, making him one of the youngest QCs to be appointed. He is described in the legal directories as “a formidable advocate”; with “first-class advocacy skills” who “comes up with extremely clever points” and has an ability to “present practical legal solutions that not only win you the battles, but also the war.” “ He shows tenacity in fighting his client’s corner and has the ability to swiftly produce forceful oral rebuttals.” “An extremely persuasive advocate, who brings considerable intellectual capacity and endless energy to cases; “can eat documents for breakfast” and has a “formidable reputation in Asia Pacific as an arbitrator and counsel”. 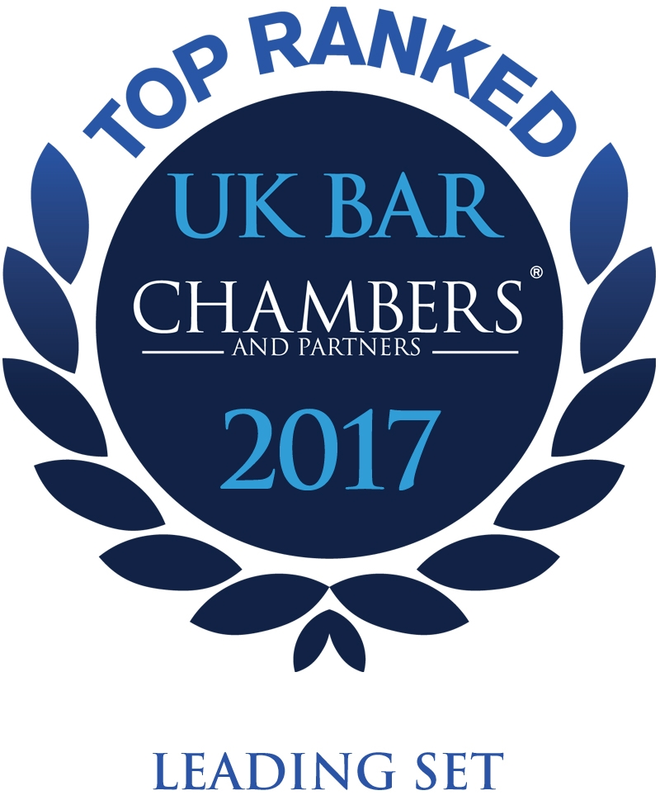 Recommended as a leading practitioner by the most recent editions of The Legal 500 UK (six areas of practice), Chambers UK (three areas of practice), Legal 500 Asia-Pacific (three areas of practice), Chambers Asia (three areas of practice), and Chambers Global (three areas of practice). Nine of these recommendations are Band 1 rankings. Named by Legal Week as one of ten Stars at the Bar for 2012. 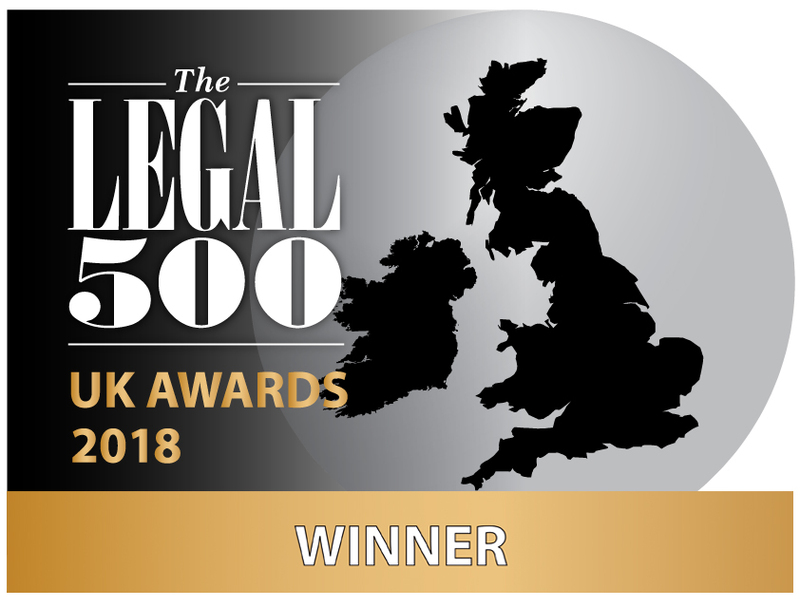 Recommended by The Legal 500 UK as a leading practitioner in six areas of practice: Civil Fraud, Commodities, Energy (Band 1), International Arbitration (Band 2), Shipping and VAT. 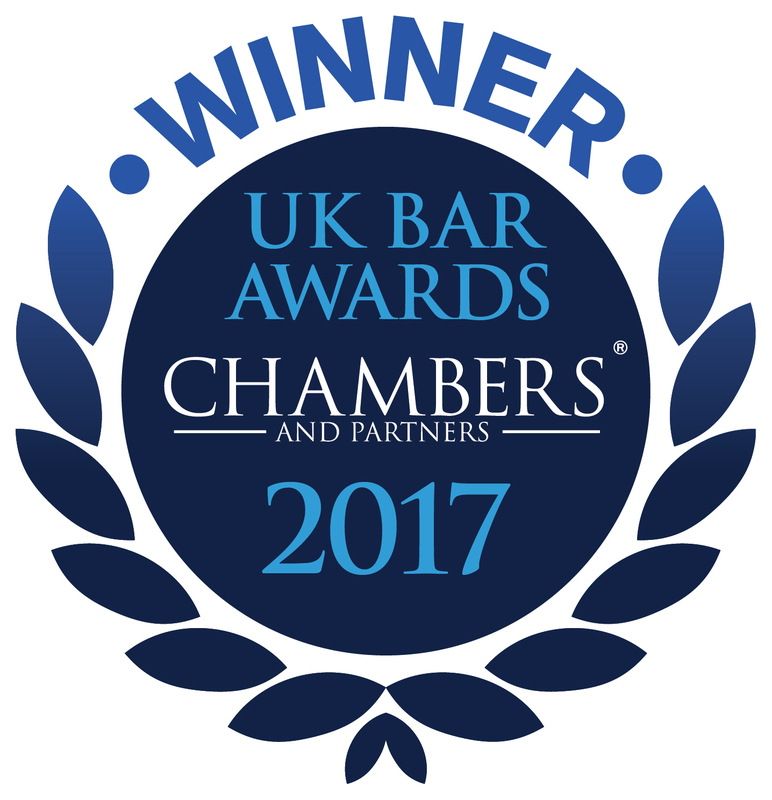 Recommended by Chambers UK as a leading practitioner in three areas of practice: Civil Fraud, Energy and Natural Resources, and Indirect Tax. Recommended by The Legal 500 Asia-Pacific as a leading practitioner in three areas of practice: Commercial – International Arbitration (Band 1); Energy – International Arbitration (Band 1); Shipping – International Arbitration (Band 1). 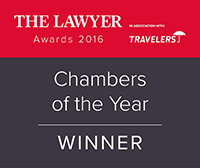 Recommended by Chambers Asia-Pacific as a leading practitioner in International Arbitration: The English Bar in the Asia-Pacific region (Band 1); the only person ranked in Band 1. Recommended by Chambers Asia-Pacific as a leading practitioner in International Arbitration: The English Bar in Singapore (Band 1); the only person ranked in Band 1. Recommended by Chambers Global as a leading practitioner in three areas of practice: International Arbitration: The English Bar (Asia-Pacific Region) (Band 1); Arbitration: The English Bar (Singapore) (Band 1); Energy and Natural Resources (UK) (Band 1). 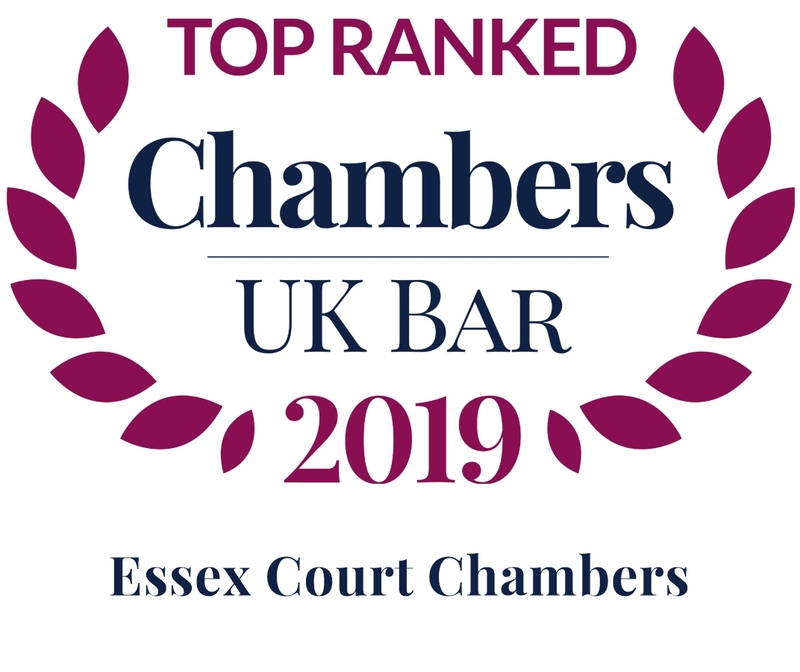 Named by Legal Week as one of ten Stars at the Bar for 2012, following research involving more than 200 solicitors, barristers and senior clerks. Featured in the Tax Journal’s 40 under 40: Ones to watch in tax (2011/12 edition), a guide of the 40 leading tax practitioners under the age of 40, following research involving more than 600 interviewees. Acting as lead counsel for a leading Chinese manufacturer of consumer products in two SIAC arbitrations worth US$25m relating to the manufacture and sale of air-conditioners. Acting as sole counsel for a Central Asian state-owned enterprise in a US$40m ICC dispute (London seat) involving the supply and installation of a telecommunications system. Instructed as sole counsel in a US$ ICC arbitration involving a US$40m ICC dispute involving the supply of a telecommunications system. Fixed for hearing in Singapore in May 2016. Appearing as co-counsel in a SIAC arbitration involving theproper construction of a manifest error clause in a contract for the supply of a cargo of oil. Fixed for hearing in April 2016. Appeared as lead counsel for an Indian claimant in a US$7m SIAC arbitration against one of the leading cement suppliers in the world in relation to a declaration of force majeure. Dispute settled for substantial sums following conclusion of the hearing. Appeared successfully for a Chinese multi-national company in a charterparty dispute seated in Hong Kong. Award published in November 2015. Acted successfully as sole counsel for a Singapore-listed company in defeating a jurisdictional challenge by the Malaysian multinational respondent to a US$47.5m claim arising out of a contract for the fabrication of an oil well and process platform for use in the Indian Ocean. The arbitration was subject to UNCITRAL Rules and is seated in Singapore. Appeared as lead counsel for a Chinese state-owned corporation in a SIAC arbitration brought against it by one of the world’s largest commodity traders. Succeeded in defeating the claim on jurisdictional grounds with costs awarded against the other side. Instructed on behalf of a large Korean multinational in LCIA arbitration involving claims for US$35 million in respect of the construction of an offshore oil and gas platform. Substantial damages awarded in favour of the Korean claimant. Acted successfully for a Thai corporation against a well-known FTSE 100 company in resisting claims of force majeure stemming from a crude oil deal. Damages and interest in the sum of US$20.4m plus costs were awarded by the tribunal. Instructed as expert on English law in ongoing Singapore High Court proceedings arising out of two FOSFA arbitration awards concerning contracts for the sale of palm oil in bulk. Appointed as sole arbitrator/co-arbitrator/presiding arbitrator in 10 ad hoc and institutional arbitrations (HKIAC, LCIA, LMAA, SIAC and PCA). Six awards published to date. Co-authored the chapters on evidence, stays of proceedings and interim relief in David Joseph QC and David Foxton QC (gen eds), Law & Practice of Singapore International Arbitration (LexisNexis, 2014). Member of the Young SIAC Executive Committee; member of the SIAC Users’ Council. Instructed in some of the largest civil fraud actions heard in England in recent years, including the US$1 billion Fiona Trust litigation and CNA Insurance Company Ltd v Willis Ltd (both of which are referred to in greater detail in the Commercial Litigation section below). Has also acted extensively in international arbitrations involving allegations of dishonesty. Recommended by Legal 500 UK (2008-13) and Chambers UK (2012-14) for Civil Fraud and by Legal Experts (2009-12) for Fraud (Asset Recovery). Described by Legal 500 (2012) as having a “wealth of experience in civil fraud, and is in the ascendancy”. Fiona Trust litigation. Successfully represented Tagir Izmaylov, the former chief executive of Novoship (the second largest shipping corporation in Russia), in defending a web of complex claims for bribery and conspiracy. The trial lasted for 76 days and the claims against Mr Izmaylov were dismissed in their entirety: see  EWHC 3199 (Comm). Subsequently appeared unled in securing indemnity costs in favour of Mr Izmaylov: see  EWHC 664 (Comm). CNA Insurance Company Ltd v Willis Ltd. Acted for CNA in claiming damages for deceit against Willis, the third largest insurance brokers in the world. The action was set down for a 10-week hearing in the Commercial Court and was settled a month prior to the start of trial for the sum of US$130 million, the settlement payment to CNA having been reported extensively by the financial press, including the Wall Street Journal, Bloomberg, Forbes and CNBC. Ikos Litigation. Instructed by one of the largest hedge funds in Europe in proceedings brought against a number of its former employees for breach of fiduciary duties, dishonest assistance and conspiracy. PT Thiess Contractors Indonesia v PT Kaltim Prima Coal. Retained by Thiess in a US$146m claim relating to the operation of a large coal mine in Indonesia. Succeeded in defeating the Defendant’s challenge to the jurisdiction of the English courts: see  EWHC 1842 (Comm). Chambers Finance Ltd v Brent and 12 others. Acted as sole counsel for the claimant in a A$23m dispute involving complex conflict of laws issues, all of which are related to the manufacture and storage of casks of whisky in Scotland. Settlements entered into with four defendants and judgments entered into against the rest. Sunico Litigation. Acted for one of nine co-defendants in a massive £40m fraud claim involving claims for unlawful means conspiracy. Concurrent proceedings in Singapore, London and Hong Kong in relation to 719 transactions. Secured summary judgment and dismissal of the claim with costs six weeks before trial: see  EWHC 2892 (Ch). Frequently instructed in energy and commodity disputes, particularly those involving a cross-border element. Experience ranges from claims arising from the sale of coal to the construction of offshore oil platforms to disputes revolving around alternative energy sources, such as those related to the supply of PV solar modules. Recommended by Legal 500 UK (2013) and Chambers UK (2014) for Energy. For further details, please see the Arbitration section above. American Express Services Europe Ltd. Acted for American Express in a partial exemption special method dispute. Commissioners withdrew their case during the course of the substantive hearing. BlackRock International Ltd. Instructed on behalf of BlackRock in bringing claims for recovery of compound interest from HMRC. Birkdale School, Sheffield. Appeared successfully for Birkdale School in the High Court in a single/multiple supplies case concerning tuition fees: see  STC 2002; Times Law Reports 23 April 2008. Chubb Insurance Company of Europe SA. Acted for Chubb in a dispute in which the Revenue withdrew their casefollowing the service of witness statements. RBS Deutschland Holdings GmbH. Acted successfully for RBS as sole counsel in one of the leading abuse of right cases to be heard by the European Court of Justice  STC 345. Advised and acted in a large number of charterparty, bill of lading, second hand ship sale and purchase, shipbuilding and shipbroking claims, including cases concerning the cancellation of charters, demurrage, employment clauses and hire (and off-hire). Appeared in the trial of the Fiona Trust action, which was described by The Times as “the shipping trial of the century” and by TradeWinds as the “trial of the decade”: see the Commercial Litigation section above. Appeared for a Chinese yard in two arbitrations involving allegations of renunciation and repudiatory breach of contract. Secured dismissal of buyers’ claims for US$23.5m in damages. Succeeded in resisting s.68 challenge to the award by the buyers: see Primera Maritime (Hellas) Ltd v Jiangsu Eastern Heavy Industry Co Ltd  EWHC 3066 (Comm). Acted as lead counsel for a Korean yard in a dispute involving allegations for repudiatory breach of five shipbuilding contracts worth US$182m in total. He is one of the most industrious people I’ve ever come across. He is very good, with a good forensic mind. He never seems to sleep to be honest. He’s incredibly responsive and works incredibly hard. He’s got an encyclopaedic knowledge of case law and he’s very good at drafting. He impresses with his willingness to roll up his sleeves and on a personal level he is very approachable and very friendly. He is exceptionally hard-working and phenomenally clever, but at the same time the most courteous barrister you could ever hope to have the pleasure of instructing. He follows the Essex Court mould of being intellectually very strong and able to take on the key particulars of complex litigation within a very short amount of time. He speaks very well and has a very good grasp of the principles that underlie tax law. He is an extremely impressive and effective advocate who gets on top of the details extremely fast and is quick on his feet. He’s intellectually very strong and able to take on complex litigation within a very short amount of time. A thorough and thoughtful advocate who has an agreeable but tough courtroom manner. Very commercial, extremely intelligent and personable. The most client-friendly barrister at the English Bar; he is a pleasure to work with and very bright. A wonderful personality and an infectious passion for the law. A very bright, uber-responsive, rising star. A tireless worker with thorough legal knowledge and a keen commercial sense. A popular junior who acts in oil and gas, renewable energy, and metals and mining litigation and arbitration cases. He is often instructed on work emanating from, or connected with, Singapore. “He comes up with extremely clever points. He has the ability to sift through complex legal problems, and present practical legal solutions that not only win you the battles, but also the war.” “He takes a very active role in helping clients manage their commercial needs and their budgets.